About Us – United County Robinette And Associates Real Estate Inc.
Casa Grande was founded during a statewide mining boom in 1879. It was originally named "Terminus" due to a major railroad that terminated in the city, but was later renamed in honor of the nearby Casa Grande Ruins National Monument. The city was incorporated in 1915, and received its first fire station in 1916. 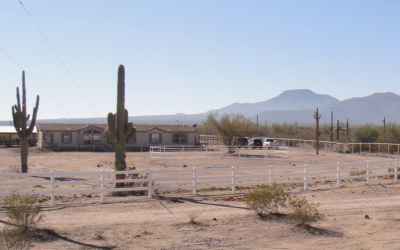 Casa Grande features an arid desert climate where the average high temperatures climb to 105 degrees Fahrenheit in July, and the average low temperatures only get down to 36 degrees in January. Annual precipitation averages 8.9 inches. More than 14 public school and a private school offer education to local students. Higher education is most readily available at Central Arizona College in Coolidge, only 14 miles away. Other options within 40 miles of Casa Grande include Arizona State University - West, Chandler/Gilbert Community College, Mesa Community College, Glendale Community College and Grand Canyon University. Casa Grande Regional Medical Center serves the area's health care needs. Golf aficionados will find Casa Grande to be an ideal playground. There are four 18-hole courses as well as one 9-hole course in town, all of which are open to the public. Casa Grande is host to Picacho Reservoir, where largemouth bass, channel catfish, sunfish, tilapia, crappie and carp are waiting for your lure. Hunters can find a number of small game around the central Arizona region. Rabbit, duck, dove, quail and various species of squirrel dwell here. Our historic downtown preserves the appeal of yesteryear while simultaneously offering shops that are relevant to modern needs. Casa Grande's outlet mall also provides quality shopping to both local residents and interstate travelers. The national monument that the city is named after is actually located in nearby Coolidge. Here, visitors can see the ruins of various Hohokam structures. 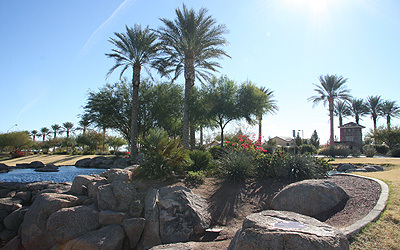 There is far more to do in and around Casa Grande than just what we've listed so far. Contact our office today to learn more about the region and the properties we currently have available. We'll help you find the property you've always dreamed about.